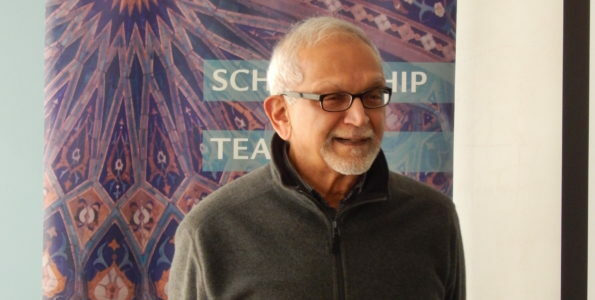 Dr. Sadek Hamid is author of Sufis, Salafis and Islamists: The Contested Ground of British Islamic Activism (I.B. Tauris, 2016), co-author of the British Muslims: New Directions in Islamic Thought, Creativity and Activism (Edinburgh University Press, 2018) and co-editor of Political Muslims: Understanding Youth Resistance in a Global Context (Syracuse University Press, 2018). Akbar Ahmed. 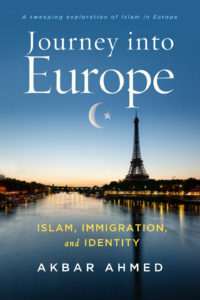 Journey into Europe: Islam, Immigration and Identity (Washington: Brookings Institution Press, 2018). 575 pages. $34.99 hardcover. A New York Times story in early July 2018, reported a plan by Denmark to create a two tiered system that distinguishes between citizens and ‘ghetto citizens,’ who are predominantly Muslim. The Danish government intends to coerce assimilation by introducing laws to regulate life in predominantly Muslim neighbourhoods. In practice this will mean that “ghetto children” as young as one years of age, will be separated from their families for at least 25 hours a week, to undergo compulsory instruction in “Danish values,” Christian traditions and language – noncompliance may result in a stoppage of welfare payments. This was followed by a ‘burka ban’ that came into effect at the beginning of August and which could result in steep fines or jail time for repeat offenders. Discriminatory responses like these demonstrate a ‘turn to the right’ in European state policies towards Muslim minorities – a particularly disturbing development that signals forms of state sanctioned second class citizenship. Discriminatory responses like these demonstrate a ‘turn to the right’ in European state policies towards Muslim minorities – a particularly disturbing development that signals forms of state sanctioned second class citizenship which appears to be favoured by governments in Scandinavia, Germany, Holland, and France. Such strategies also embolden far-right movements and may portend the future treatment of religious and ethnic minorities on continent. These types of incidents and the political implications of Europe’s growing Muslim population are the subject of a recent major study carried out by the noted Social Anthropologist, Akbar Ahmed in his new book Journey into Europe: Islam, Immigration and Identity. 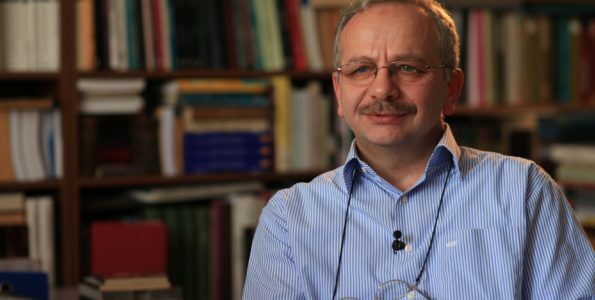 A former British Ambassador and distinguished scholar of Islamic Studies and International Relations at the American University in Washington, he makes a critical intervention to the debate about Muslims in Europe. This volume is the last in a quartet of valuable studies initiated over the past decade by Ahmed: Journey into Islam: The Crisis of Globalization (2007), followed by Journey into America: The Challenge of Islam (2010) and The Thistle and the Drone: How America’s War on Terror Became a Global War on Tribal Islam (2013). The text is split into three parts, and over nine chapters, it seeks to contextualize the presence of Muslims in Europe historically from the early eighth century to the present day. 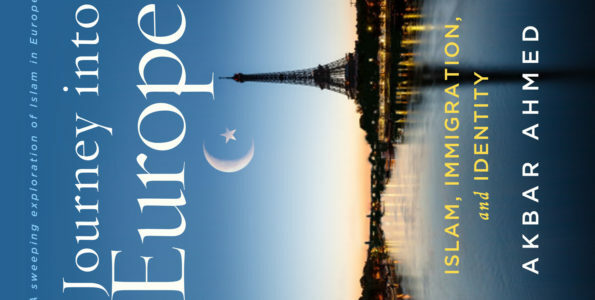 The first section explores different types of European identity, the second offers an extensive range of contemporary case studies, and the third considers the lessons that can be learnt from Europe in relation to current crises around Islam, immigration, radicalisation, social cohesion, secularism, and the refugee crisis. This book provides an alternate narrative that demonstrates a complex relationship that has enriched and shaped Western civilization immeasurably – where Jews, Christians and Muslims lived together during long periods of peaceful co-existence. The intent of the project, which has an accompanying film, is to counter the claim made by many right-wing politicians across the EU – that Islam is a foreign religion. This book provides an alternate narrative that demonstrates a complex relationship that has enriched and shaped Western civilization immeasurably – where Jews, Christians and Muslims lived together during long periods of peaceful co-existence. This is evidenced not only through the fact of Muslim Spain but also by the existence of indigenous Muslim populations in Bosnia, Albania and Crimea. This model of pluralistic co-existence, or La Convivencia, was of course not a utopian paradise devoid of problems – the author acknowledges critical scholarship, avoiding the bitter sweet nostalgia of what he calls the “Andalusia syndrome.” Richly illustrated with anecdotes from ethnographic fieldwork, case studies and interviews with hundreds of people from different backgrounds including imams, activists, presidents, prime ministers, archbishops, chief rabbis, heads of right-wing parties, and everyday Europeans the findings document a widespread feeling of marginalization, discrimination and demonization experienced by European Muslims. The book begins by the author recounting an emotional experience in an overcrowded basement mosque in Athens during the turbulent summer of 2013, when the country appeared to be on the brink of economic collapse and public opinion resisting the steady flow of impoverished refugees crossing the Mediterranean Sea. This scene provides an apt metaphor for the difficult challenges faced by immigrants seeking a better life in Europe and the policy challenges facing governments struggling to accommodate newcomers. 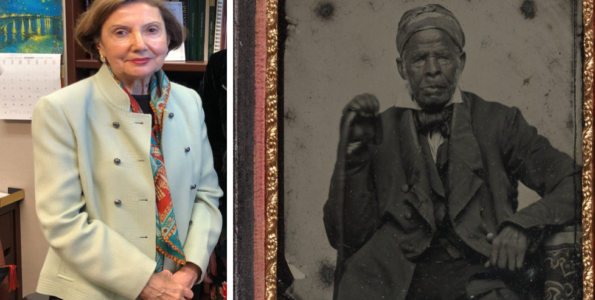 Professor Ahmed observes that for some, this growing Muslim presence represents a ‘third invasion’ by Arabs and Turks that occurred in centuries past. While the original encounters were military conquests, the current presence and growth of Muslim populations has been enabled through immigration after post-war labour shortages in the mid-twentieth century, family reunification, higher birth rates, religious conversion, economic migration and more recently by asylum seekers and refugees, which bring the number of Muslims in Western Europe to around 20 million people –nearly five percent of the total population of Western Europe. Richly illustrated with anecdotes from ethnographic fieldwork, case studies and interviews with hundreds of people from different backgrounds including imams, activists, presidents, prime ministers, archbishops, chief rabbis, heads of right-wing parties, and everyday Europeans the findings document a widespread feeling of marginalization, discrimination and demonization experienced by European Muslims. The author argues that different types of identity archetype have shaped what it means to be European in religious, ethnic and racial terms. He identifies a primordial element found in ancient Germanic tribes as forming the ‘deep structure’ of European culture and manifesting in two tribal identities – primordial and predator. The former can transform into the latter and become nativistic and exclusionary, these two are contrasted with a third version which is pluralist and accommodating of diversity. The first two orientations have their contemporary analogues in far-right parties that instrumentalize nationalistic sentiments, scapegoat minorities and legitimate Islamophobia. The author also explores how Muslim immigrants similarly can display tribal loyalties of their own which at times morphs into honour based violence and instances of anti-Semitism. The painful current reality of terrorism committed by Muslims vindicates for some a perception of a “clash of civilisations” and incommensurability of cultures – a sentiment shared by prominent politicians such as Francois Hollande, Manuelle Valls, and scholars such the late Bernard Lewis. Ahmed fears that the consequences could spiral out of control and lead to prejudice against Muslims to be rationalized, not only causing increasing instances of discrimination in education, housing and employment but also outright violent hate crimes, as signalled by some far-right politicians in Eastern Europe openly talking about creating concentration camps for Muslims. This chilling possibility, has brought Europe to a crossroads that unless urgent action is taken, could result in continued cultural and religious tensions that might escalate in violence erupting across the continent. This bleak picture is counterbalanced with more hopeful encounters where the author and his research team speak with various individuals and projects that are committed to the pluralist model of co-existence and who acknowledge the shared past of Islamic and European civilizations and seek to create more harmonious futures. Journey into Europe is a detailed, theoretically informed and empirically grounded piece of research. It is difficult to disagree with its overall message for the need to increase mutual understanding, compassion and humanity as a means to reducing fear and conflict. Written in an engaging prose that is accessible to non-specialists, it contains a thoughtful range of observations and recommendations about the issues raised in the book. European governments need to equitably address the rights of their largest minority faith community in ways which respectfully encourage integration and value diversity. At the same time, the Muslims of Europe can do more in fulfilling their responsibilities as citizens and address difficult internal challenges. This important study deserves to be read carefully by a broad audience and its policy directives should be taken seriously by politicians.